FREE LTE Uncapped on the Rain Network until 21 July! Just enough bandwidth to get you addicted! After our unexpected experience of drought we finally got some Rain! Finally got some Rain! And it was totally worth it. Our sims were delivered within 48 hours and was activated the following day. 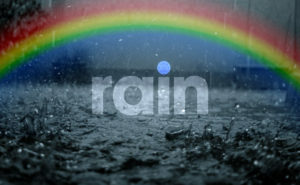 Today is our 5th day on the Rain network and it feels like freedom. Coming from the standard mobile data bundle structures Rain opened up a new world for us, almost as if my dream has become a reality. Rain’s bundle-less business modal is definitely a game changer that will have other mobile data providers on their toes. We have used over 30Gb in the first week on their unlimited data promotion that comes to an end on the 21st of July. We have not experienced any issues with speeds in our area as many people around the country complain about however we just may not be used to the freedom of uncapped mobile data to notice. Just enough internet juice to get you hooked! What concerns us most is that the unlimited data promotion will be just enough juice to get us addicted. So must so that we have already contacted support to request that their product developer consider an anytime uncapped offering. Honestly we would rather have throttling during peak times and pay a set monthly price than be charged R50 per Gb. This is not an endorsement but a genuine compliment. Thank you Rain. One does not simply get Rain. Burn a witch, brew a potion, exorcise a demon and subject yourself to hours of support chat. None of it will get your sims activated. We completed the Rain signup but stopped at the payment screen. We then unexpectedly received our order not three days later. At first we were surprised and happy. But after hours of LiveChat support we were told that we would have to reorder new sims and successfully complete the payment process and then destroy the old sims, before we would get Rain. They can’t activate the sims unless they’ve received payment, so I asked them, how the hell do you send an expensive courier to deliver sims when you haven’t received payment? Support is horrid because they did not offer a better solution than; please order again. Seriously, there must be a better way to help customers who already have sims to get online. Out of frustration we have completed a new order and lodged a support ticket requesting them to not send new sims but rather activate the ones we already have. Think of the Co2 these guys rack up sending out duds. 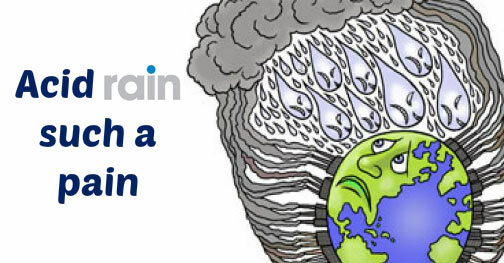 Acid Rain or Toxic Rain is what we have to put up with because they are still wearing ISP diapers.